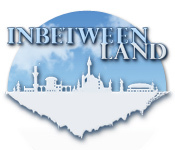 Inbetween Land is rated 4.0 out of 5 by 82. Rated 5 out of 5 by SparkleGlow100 from PUZZLES, PUZZLES, PUZZLES AND FROGS! I loved this game! Lots and lots of puzzle!. Great atmosphere and gentle pace. Not the best graphics, because it is an older game, and it looked better on my computer to be full-screen, not wide-screen. Game took a little over 3.5 hrs, which included skipping some puzzles. The story was very good, about a land in the sky. But who are the citizens??? I’m giving this a 5* because of the enjoyment factor. Rated 5 out of 5 by Boomer1097 from Excellent Game This game is so much fun to play. The fragmented objects scenes (instead of iHOS) were so much fun! The objects you collect to create another object needed in the scene were fun and something you don't find often in games. The graphics were very nice and crisp. The cut scenes were somewhat cartoonish, but didn't bother me. The voice overs were well done and the music was unobtrusive. The mini games were well done and fun to play. There were several "chemistry" type games, which I really enjoy. The story was sweet and the ending was very satisfying. You earn achievements as you play the game, which was a nice touch for a non-CE game. I really enjoyed this game and recommend it. Rated 5 out of 5 by IYBAKH from SOMETHING FOR EVERY ONE! This game is shorter than most, but still a bargain. l reviewed this game and found it to be in sync with other BFG. 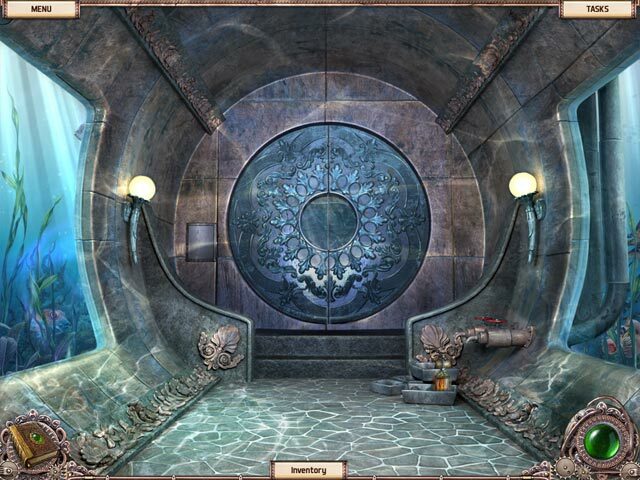 The puzzles were not difficult; the HOs were easy to find, and the whole story line was clear and uncluttered. The graphics were first-rate. Rated 5 out of 5 by s_sgs from Great, Great Game - Something for everyone! 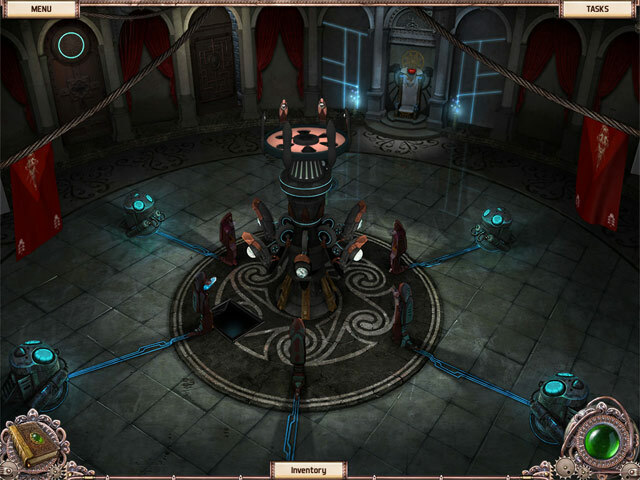 This review is based on the completed game in "normal", the second of three modes of difficulty. Some might criticize this game because while the VO are very good, the cut scenes are cartoonish. I say forget all that and just look at the gorgeous scenery with crisp, clean detail, the fun factor from both IHOS and IFROG, some challenging mini-games, and a non-rushed, satisfying ending. I love fragmented object and wish there were more available. They add a freshness to any game and a nice variation from IHOS and mini-game. The details- You go in search of a missing friend on a floating city. Once in the city you learn that to save your friend you must collect a number of crystals and get them in to the temple. I know, a theme we've seen many a time, but even so, it is executed well which kept things fun. Journal - Yes, but reference only, not really needed Map - No, but not needed. Game is forward moving and it is obvious when there is nothing more to do. Not much back and forth. Hints - Very good. Not coy at all. Explicitly state what needs to be done next. Such as "Put the chain on the hook". Achievements - Lots and that includes making it through the game without hints - I didn't. sigh. IFROG - Fragmented Object scenes were well thought out and interactive requiring some sleuthing to get all of the objects to appear. Not sure of the exact count, but it seemed as if there were about 6 of these scenes. IHOS - These were also well executed and for the most part non-junk. There was a nice ratio of IHOS to mini-game. Mini-Games - I thoroughly enjoyed these. They were original, offered some challenge, and just a lot of fun. Cursor/Interface - Good, intuitive interface. Inventory items could be applied successfully the first time. This is a nice change of pace as a number of games make it difficult to apply the correct inventory item to the correct place unless the cursor is placed "just so". Many a time I have resorted to hints only to find that I was trying to do the right thing but I hadn't positioned the cursor in exactly the right place....sigh. Great Ending! - In many a game it has been disappointing to be rewarded with a 5 second ending after hours of game play. Not so here at all. This game has a solid ending leaving no loose ends but still allowing for a sequel to two... Any Cons? Several scenes were beautiful and intriguing but only "single use" meaning once the puzzle or IHOS has been completed and items added to inventory there was nothing more to do. There was no ability to wander around inside a scene - the gamer just looks from an entrance such as a doorway on wishing to see more. As some have already commented this game is < 5 hours which is too bad. I was not ready for it to end, but then I guess the time to leave is when everyone still wants you right? Would love to see more IFROG as structured in this game. Very well done team! Rated 5 out of 5 by siren55 from Inbetween Land I really like it. It has nice colors, not HOS, there are piezes to find but you have to use them, the music was good, the cursor also. Well what can I say, I loved it!!! I can't remember how long it was because I was having fun, but when it ends, I wish it was longer. Rated 5 out of 5 by Jem_Jerrica_Guy from Felt like living real life.... Felt like living in my aunt's house in Portland, Oregon. Strutting down downtown Portland. Visiting a museum. Falling asleep in the museum. Living the dreams. 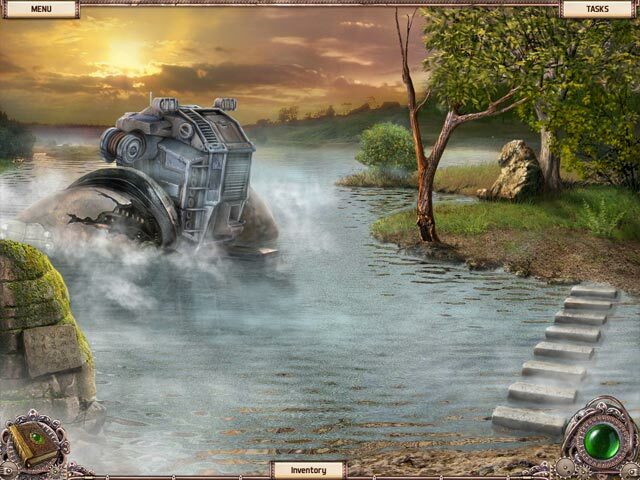 Rated 5 out of 5 by booksnspurs from A Fun Puzzle/Adventure Game Inbetween Land is my kind of game! I loved the puzzles, some new, some old, but almost always challenging (but not too hard). I especially liked that once you found the items in a scene you moved on to the next, not a lot of going back and forth in this game. I prefer the adventure/puzzle games rather than the HOGs, but there were not an overwhelming number of HOG piles in this game and they were interactive, fragments which made it more fun for me. This game was not as dark themed as most lately and it kept my interest until the very end. More games like this please! Rated 5 out of 5 by Zeravla007 from killer game Started out a bit cheesy but really quickly became a really beautifully and well done game.. don't be fooled by the opening.. its cool!